AGREEMENT OF LEASE made as of the _____ day of _____________ between ___________ (the “Landlord”), and _______________ (the “Tenant”). WHEREAS, Tenant desires to lease the Land, said office building, surface parking and all improvements situated on the Land in connection therewith, and Landlord is willing to rent same to Tenant, upon the terms, conditions, covenants and agreements set forth herein. NOW, THEREFORE, the parties hereto, intending to be legally bound, hereby covenant and agree as herein set forth. Section 1.01. The Landlord does hereby demise and Lease to Tenant, and Tenant does hereby hire and take from Landlord, the Premises (as defined herein), subject only to the Permitted Exceptions (as defined herein) and the terms and conditions hereinafter provided. TO HAVE AND TO HOLD said Lease unto Tenant, its successors and assigns for a term (the “Lease Term”) which shall commence, subject to the provisions of Article 3, on ____________ (the “Commencement Date”) and end on the last day of the month in which occurs the tenth (10th) anniversary of the Commencement Date (the “Expiration Date”), unless such term shall be sooner terminated or extended as hereinafter provided. Upon the valid exercise of any renewal option set forth in Article 27 hereof to extend the Lease Term, all references in this Lease to the “term” or the “term of this lease” or any similar phrase, shall be deemed to include such renewal term. It is hereby mutually covenanted and agreed by- and between the parties hereto that this Lease is made upon the foregoing and upon the agreements, covenants and conditions herein set forth. Section 3.01. (a) In the event that Substantial Completion of the Improvements has not occurred on or before ___________ 20__ in accordance with the terms hereof and the Construction Performance Agreement, or Landlord shall for any reason be unable to deliver possession of the Premises to Tenant on said date in accordance with the terms of this Lease and the Construction Performance Agreement, then notwithstanding anything to the contrary hereinabove contained, the term of this Lease shall commence on, and the Commence­ment Date shall be (and shall, for purposes of this Lease, be defined as), the date fixed by Landlord in a notice to Tenant not sooner than sixty (60) days next following the date of the giving of such notice, which notice shall state that on or prior to the date fixed in said notice, said Improvements shall be Substantially Complete and Landlord shall deliver possession of the Premises to Tenant. The foregoing is conditioned upon Landlord actually delivering possession of all of the Premises to Tenant, in Substantially Complete condition, in accordance with the terms of said notice. 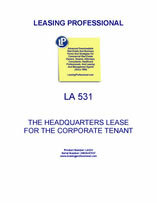 (b) In the event that Landlord has not Substan­tially Completed the Improvements in accordance with the terms hereof and the terms of the Construction Performance Agreement and delivered possession of the entire Premises to Tenant on or before _______________, 20__ in accordance with the terms of this Lease and the Construction Performance Agreement, Landlord shall pay to Tenant the sum of __________ Dollars for each day from and after _________ ___, 20__ to and including the earlier of (i) the date on which Landlord actually delivers possession of the entire Premises to Tenant and (ii) the date on which Tenant elects to terminate this Lease pursuant to the terms hereof. (ii) on or before ____________, 20__ for any reason, Tenant shall have the option to terminate this Lease by giving Landlord written notice thereof on or before __________, 20__. In the event that such termination notice is not delivered to Landlord (i) on or before ___________, 20__ in the case of delays other than Unavoidable Delays, and (ii) on or before ________________ 20__ in the case of any delay, then this Lease shall remain in full force and effect with no further right of termination except as expressly set forth herein. (d) In the event that Landlord and Tenant disagree on (i) whether or not Landlord's failure to Substantially Complete the Premises and deliver possession to Tenant on or before _____________, 20__ is due to an Unavoidable Delay, or (ii) the date on which Tenant shall be entitled to terminate this Lease pursuant to the terms of Section 3.01(c) hereof, then such dispute may, at the option of either party, be resolved by arbitration in accordance with the terms of Article 33 hereof. (e) Landlord and Tenant shall, within not more than ten (10) Business Days after Landlord has delivered possession of the entire Premises to Tenant in Substantially Complete condition and in accordance with the terms of this Lease and the Construction Performance Agreement, execute and deliver an instrument substantially in the form of Exhibit D annexed hereto acknowledging the Commencement Date, Expiration Date and Rent Commencement Date for the Premises. Section 3.02. It is contemplated by the parties hereto that any work undertaken by Tenant in the Improvements shall, subject to the terms of the Construction Performance Agreement, be performed by Tenant after the Commencement Date. However, if in accordance with good construction practice and scheduling, any installation by Tenant involves work to be performed in conjunction with the performance of Landlord's obligations under the Construction Performance Agreement, then Landlord will permit Tenant and its agents to enter the Premises prior to the Commencement Date, in order that Tenant may perform such work through its own contractors at the same time that Landlord's contractors are working in the Premises. The foregoing right is conditioned upon Tenant's workmen and mechanics working in harmony and not unreasonably interfering with the labor employed by Landlord. Landlord and Tenant agree that each shall cooperate with the other in connection with any work being performed by Landlord or Tenant, as the case may be, at the Premises, and shall use their best efforts to ensure that their respective workmen and mechanics are working in harmony with each other and do not interfere with the work being performed by Landlord or Tenant, as the case may be, at the Premises.